The following chapter will discuss the laws regarding giving food and items to a gentile in a scenario that the gentile will carry it out to a different domain. At times doing so involves a Rabbinical prohibition and at times is completely allowed. It is permitted to invite a gentile to ones house to join him to eat [the meal] on Shabbos. The reason why on Shabbos this is allowed as opposed to Yom Tov: Now, although this is forbidden to do on Yom Tov due to a decree that one may come to cook more food on his behalf, as will be explained in chapter 512 [Halacha 1] [nevertheless on Shabbos it is allowed as] on Shabbos we are not worried [that one may come to cook food]. Giving him food: It is even allowed to place food in front of a lone gentile as since we sustain [also] gentile paupers it is considered that their sustenance depends on us [Jews]. Placing it in the courtyard: It is permitted to place food in front of [a gentile] in ones courtyard even though one knows that [the gentile] will take it outside [into a public domain] as long as [the gentile] has permission to eat [the food] there [in the courtyard] if he so wishes. Placing it in the gentiles hand: In any event one may not actually place [the food] into his hands in order so he [the Jew] not be the one to extract the [food] from within the private domain, rather the gentile should take it from his hand as then the gentile is the one doing the actual extraction. It goes without saying that it is allowed [for the gentile to take it] if one places it on top of the ground or on a table and the gentile takes it from there. Placing down the food in a scenario that is evident that it will have to be taken out: However if [the gentile] does not have permission to eat it there or there is a lot of food and it is impossible to eat it [all] there and it is [thus] evident that he [must] take it outside, as well as if the gentile is standing on the outside and he sticks his hand inside in which it is obvious and evident that he will take [the food that he is given] outside, then it is forbidden to place [the food] in front of him being that it appears like one is giving it to him on condition [that he] take it out. Now, although he is taking it out for his benefit and not for the Jew, nevertheless since this item that he is taking out was given to him by the Jew from his own personal belongings, [therefore] it is forbidden for the reason explained in chapter 307 [Halacha 35]. Giving the gentile objects of a Jew: [Furthermore] even when [the gentile] is standing inside [the courtyard, the Sages] only permitted to give him food being that it is possible that he will eat it in the courtyard, however [he may] not [be given] other objects being that they are commonly taken out [from the courtyard] and it thus appears as if one is giving it to him in order for him to take it outside. Giving the gentile his own objects : However the above only refers to objects of a Jew, however the objects of a gentile are permitted to be given to him. The reason: Now, although it appears like one is giving it to him in order to take outside, this does not pose a problem being that the [gentile] is not taking it on the behalf of the Jew, but rather on behalf of himself and the object does not belong to the Jew. [Furthermore] even to explicitly tell [the gentile] to do work with his own personal objects is allowed as was explained there [in Chapter 307 Halacha 35-36] thus certainly here it is allowed to give the gentile an object of his that he will carry to the outside]. If the gentile is standing outside and sticks his hand in: Nevertheless if the gentile is standing on the outside and he sticks his hand inside it is forbidden to place [the object] in front of him even if it belongs to him. The reason for this is: because it appears like wrongdoing being that one that sees the Jew giving it to him thinks [to himself] that the object belongs to that Jew. This is opposed to when one places [the gentiles object] in front of him in the courtyard [which is allowed] because people [from the outside] do not see [the Jew placing the object] there, and [rather all they see is a gentile] exiting from the domain of the Jew with something in his hand, of which [the bystander] thinks [to himself] that the [gentile] is taking his own belongings and not that of the Jews. Even if the object belongs to the gentile but [was given as] collateral to the Jew, then it has the status of an object owned by a Jew even if the gentile redeemed it before Shabbos. [Furthermore] even if [the Jew] had designated a space, from before Shabbos, within his property for the gentile to place the collateral until the next day [Shabbos] in which he will then come and take it from there, it is forbidden to allow the [gentile] to take it from there on Shabbos being that this appears [to the onlookers] as wrongdoing. An aggressive Gentile: However if the gentile has an aggressive personality [and thus refraining him from taking the collateral will cause friction] then one may be lenient [and allow him to take it] even if he [the Jew] had not designated a space [in his property] for the [collateral]. Sake of Peace: As well in any situation in which [giving the gentile an object] involves [common actions done for] the sake of peace [with other nations], such as [in a case that] an ill gentile sent a messenger to bring him food from a Jew, then it is permitted to give it to [the messenger] or to even [personally] send a gentile [messenger] to bring it to him. Need of a Mitzvah: The same law applies when [giving the item to the gentile who will take it outside] is needed to be done for the sake of a Mitzvah, such as to remove Chameitz from ones house on Pesach, as will be explained in chapter 444 [Halacha 10-11]. 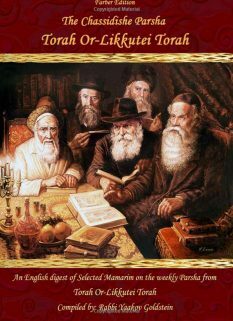 The reason for all the above allowances is: because having a gentile do a forbidden labor on ones behalf is only a Rabbinical prohibition, and being that today there are opinions which say that public domains no longer exist and rather it is all defined as a Karmalis [which is only Rabbinically forbidden in carrying] as will be explained in chapter 345 [Halacha 11], thereby [asking a gentile to carry out the objects] is [asking him to do] a Rabbinical prohibition [which itself is] of [only a guard against] a Rabbinical prohibition which was permitted [to be done] in a case that involves a Mitzvah as was explained in chapter 307 [Halacha 12]. This same allowance [given] also applies in a situation that involves the making of peace [with the gentiles], as well as a situation which involves an aggressive gentile. Not to ever place the objects into the gentiles hand: Nevertheless, one must beware not to place [the item] into the actual hand of the gentile being that one is able to avoid doing so [and still accomplish what is needed]. Even with objects that belong to the gentile one must beware against doing this. To a Gentile: It is allowed to exchange a collateral with a gentile on Shabbos if [the collateral being given to the gentile] is clothing and the gentile will wear it to the outside, being that [doing so] is not considered doing business. To a Jew: As well [switching a collateral] in this fashion is permitted to be done [even] with a Jew, if the Jew needs the clothing to wear for Shabbos. [Furthermore,] even if the gentile brings the money and takes the collateral it is allowed as long as [the Jew] does not calculate with him [how much of the loan was paid]. Not to touch the collateral: It is proper that the gentile take the collateral himself rather than have the Jew touch it in order so it not appear like they are doing a business transaction. If [the gentile] gives [the Jew] a different collateral then one should likewise not touch it. In a scenario that it is not evident or incumbent that the gentile will carry the item into a public domain: such as that the gentile has permission, and is physically able to eat the amount of food given to him in the property of the Jew, then it is permitted to place the food in front of the gentile, although not in his hands. In a scenario that it is evident or incumbent that the gentile will carry the food outside: Such as if it is too large an amount of food to be eaten in the Jews house, or the Jew did not give him permission to eat it in his property, then it is forbidden to give it to him, even by placing it down on the floor. Food that belongs to the gentile: See next scenario. Objects that belong to the Jew: Is forbidden in all cases. Objects [including food] that belong to the gentile: Is permitted in all cases to place in front of the gentile, with exception to if the gentile is standing outside the property and places his hand inside, in which case one may not place the objects in front of him. One may never place the object in his hand, even when the gentile is inside. A collateral which belongs to the gentile: Has the same laws as an item which belongs to a Jew, with exception that by an aggressive gentile which will cause one harm if not given the collateral one may allow him to take it. As well as collateral of clothing is allowed for the gentile to take on condition that he will wear it to the outside. However one is not to touch the collateral and rather is to have the gentile take it himself. 1) One needs to give the food/object to the gentile for the sake of peace. The following section will deal with the laws of foods and other items which had forbidden labor done to them on Shabbos by a gentile not on behalf of a Jew. At times the foods and other items are permitted and at times are forbidden as will be explained. When the labor to the item was done on behalf of a Jew the item is always prohibited as will be discussed in the next section. In places where it is accustomed to [allow] eating bread of a gentile bakery there are those opinions which permit to take from him on Shabbos even bread which was baked that day (on Shabbos) if it is a city which is majority of gentile population. The reason for why the bread is not Muktzah: As well it is not forbidden due to the laws of Muktzah even if it was flour or dough during twilight [of before Shabbos] which are [materials that are] Muktzah, as explained in chapter 308 [Halacha 8], [as] we do not apply here [the rule] that since [the “bread”] was Muktzah during twilight [of the entrance of Shabbos] it is therefore Muktzah for the entire Shabbos, as this rule is only said by an item which became ready and fit [to be used] on its own after dark [meaning after twilight was over], such as a candle which extinguished on its own after dark, however anything which was finished through a person, meaning that he finished preparing it on Shabbos and it becomes ready through a person, then it does not involve [the prohibition of] Muktzah at all, even during twilight when it is still not ready being that one does not remove his mind away from it at all during twilight from benefiting from it on Shabbos since it is within his ability to prepare it and make it ready for that day. 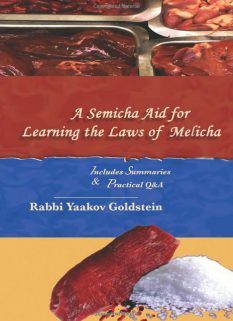 For example flour which is in the hands of a gentile does not have the status of Muktzah at all on Shabbos because he has the ability to bake and make it ready for that day, and since it is readily useable for the gentile which is the owner it is therefore considered readily useable for everyone. 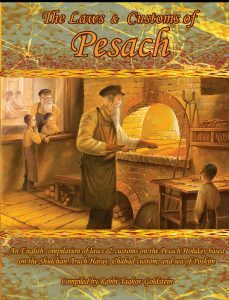 However bread which its action that is needed to prepare it to make it useable, which is its baking, began on Shabbos then it does contain the problem of Muktzah if it was flour or dough during twilight. However if it was grain during twilight and it was ground and baked on Shabbos then it does not contain a problem of Muktzah and neither of “Nolad” on Yom Tov, as will be explained in chapter 517 [Halacha 3]. The Final Ruling: Regarding the final ruling: One is to be strict like the latter opinion unless it is a pressing situation, such as one is the sole Jew who lives in certain settlement and thus it is impossible to ask for bread from [Jewish] acquaintances. [As well one may be lenient when done] for the need of a Mitzvah, such as by the festive meal of a Bris Mila or in order to make the blessing over bread [for the Shabbos meal], in which cases one may then rely on those that permit [using bread that was baked on Shabbos by a gentile bakery]. In any event it is forbidden to give money to a gentile baker from before Shabbos in exchange for the bread that he will give him on Shabbos as [in such a case] it ends up that [the gentile] baked [on Shabbos] for the need of the Jew of which [the law is that] it is forbidden to eat [from that bread] until enough time has passed after Shabbos to have been able to bake it, as will be explained [in Halacha 9]. (All the above [discussion] is with regards to bread, however a gentile which cooked for himself foods that do not have applicable to them the prohibition of “Bishul Akum” [food cooked by a gentile] then they do not have the status of Muktzah according to all opinions even if they are fruits which are not edible raw and were not at all fit [to be eaten] during twilight. [The reason for this is] because we only apply [the rule] of “since it was Muktzah during twilight it is Muktzah for the entire Shabbos” by things which were set aside from the mind of a person and was pushed away with his hands, such as by grains that were ground into flour, however not by something which was forcibly set aside from [the mind of the] person as was explained in chapter 310 [Halacha 6]). All the above [allowances to benefit from a gentiles labor on Shabbos] only applies to baking and the like of actions which are done with [foods] detached from the ground, with exception to squeezing fruits in which case even if a gentile squeezed it for himself it is forbidden for a Jew [to drink it] until after Shabbos if it is a scenario that it would [also] be forbidden if [the juice] were to have oozed out [of the fruit] on its own as was explained in chapter 320 [Halacha 3]. The reason for this is because: as also these juices which arrive to a Jew through the squeezing of a gentile were included within the decree [that the Sages] decreed against juices that flowed out on their own, being that also these [juices that were squeezed by the gentile] have arrived to the Jew on their own just like [juice that] had flowed out by themselves. As well, a gentile that picked fruit which was attached [to the ground] for his own self use, then even if it is a scenario where there is no prohibition of Muktzah involved, such as for example when one heard the gentile saying from before Shabbos that “tomorrow (Shabbos) I will pick these fruits” and they are fruits which have fully ripened of which case preparing them [before Shabbos] helps [remove their Muktzah status] from them even if they are attached, as explained in chapter 318 [Halacha 6], nevertheless it is forbidden for a Jew [to eat] until after Shabbos. The reason for this is: because [these fruits] are included in the decree against fruits that fell off a tree on their own [on Shabbos] as explained in chapter 322 [Halacha 3 in the Michaber] being that also these fruits have arrived to the Jew on their own just like those which have fallen off [the tree] on their own. Inedible items that were picked by a gentile: The above does not only apply to fruits but rather to any item connected [to the ground] which became detached on their own or through a gentile, even if [the item] is not food for a person, [nevertheless] it is included in this decree. For example a gentile which picked grass that was attached [to the ground], then even if it is a case that there is no problem of Muktzah, such as [in a case] that the Jew has animals which are able to graze from this grass and these [grasses] are thus designated to him [for this use], nevertheless they are forbidden [to move] due to the decree against fruits that have fallen off of a tree [on their own] and therefore it is forbidden for a Jew to use these [grasses] for any purpose just like it is forbidden to use fruits that fell off a tree [for any purpose]. Therefore they are also forbidden to be moved being that they are not fit for him to use that day [on Shabbos] for any purpose and are thereby Muktzah just like fruits that have fallen off [a tree] are Muktzah for this reason. [Furthermore] even wood [which is not used for food but for fuel] that a gentile cut for himself or that fell off on its own on Yom Tov are included in this decree as explained in chapter 507 [in Kuntrus Achron 7]. Creatures trapped by a gentile: Similarly a gentile which trapped fish or wild animals or birds for himself [on Yom Tov] is forbidden on Yom Tov as explained in chapter 515 [Halacha 4-8]. This includes any case that either a) the gentile did so for himself or for a gentile friend or b) did so in order to sell and the majority his clients are gentiles. When not done for selling purposes then we always assume that the gentile did so for himself unless there is reason to believe otherwise, in which case even if one is in doubt if in truth it was done for a Jew one must be stringent as if he knows for certain that it was done for a Jews behalf. The following today is not relevant for Chabad Chassidim as well as many Chareidi Jews being that our custom is to avoid eating Pas Akum all year round. If the bread was kneaded on Shabbos by the gentile, then it is permitted to eat it on Shabbos. If it was kneaded before Shabbos and then entered into the oven on Shabbos, it may only be eaten in a pressing situation, such as there are no other Jews to borrow bread from, or for the need of a Mitzvah, such as for a Bris Milah or for the Shabbos Seudah [and only if the Jew is not an acquaintance of the gentile who baked it]. 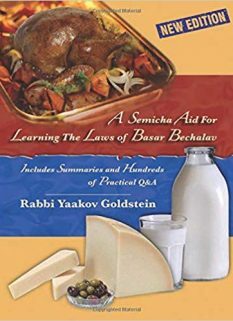 If the food does not contain a Bishul Akum prohibition then it may be eaten in all cases unless one is an acquaintance of the gentile, in which case he may not eat it until after Shabbos. Is forbidden in all cases to be drunk by a Jew on Shabbos [and is thus Muktzah]. Is forbidden in all cases to be eaten by a Jew on Shabbos and is thus Muktzah. Although one may lead his animal to eat from these foods, unless one is an acquaintance of the gentile, in which case it is forbidden to lead the animal to eat from that produce until after Shabbos, although one does not need to protest against the gentile feeding it on his own accord to ones animal. Are permitted to be used by all Jews other than the acquaintances of the gentile. The acquaintances may benefit from it immediately after Shabbos. An acquaintance of a gentile may not benefit from any labor done on Shabbos by the gentile, [even in the permitted cases mentioned above] unless the labor that was done is a type of labor in which even if the gentile would have also intended to do so for the acquaintances behalf he would not have had to increase the amount of labor done, such as to turn the light on in a room that both he and the acquaintance is in. Nevertheless, after Shabbos the item is always permitted to be benefited from immediately. Is permitted to be used to bury immediately after Shabbos, [even by an acquaintance]. Are other actions which occurred on their own on Shabbos also forbidden to be benefited from? The law regarding the person for whom the work was done: If [a gentile] picked or trapped or baked or cooked or did any of the other forbidden actions for a Jew or for a Jew and a gentile then one must wait [from benefiting from the item] until enough time has passed after Shabbos for that action to have been done. 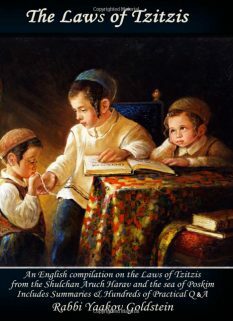 The Reason for why it is forbidden until the above amount of time passes after Shabbos: This is due to a decree that one may come to tell a gentile to do [forbidden] work [for him] on Shabbos in order so [the item] be available [to use] immediately after Shabbos. The law regarding others: [Furthermore] even other [people] for whom the action had not been done, need to wait this amount [of time after Shabbos prior to benefiting from the action], as in any case a Biblically forbidden action was done on behalf of a Jew the Sages were strict to not differentiate between those for whom the action was done on their behalf and others. However if a Rabbinical prohibition was done on behalf of a Jew, it is permitted for others [to benefit from it] immediately as will be explained [in Halacha 11]. The definition of “Kdei Sheyasu”: The definition of the measurement of “the amount of time it takes to have prepared the item” will be explained in chapter 515 [Halacha 4-8]. If there is a doubt if the [fruit] was picked on behalf of a Jew or [even] if one knows for certain that it was picked on behalf of a Jew but does not know if it was picked today [on Shabbos] or not, then it is forbidden on that day [Shabbos] as well as after Shabbos until enough time passes to have done that action. The reason: Now, although this doubt is in regards to a Rabbinical prohibition nevertheless we do not rule leniently since it is an item which will eventually become permitted. Other Opinions: [However] there are opinions which say that after Shabbos the item is immediately permitted. Their Reasoning is because: since this prohibition [of benefiting] is only like a fine so that one not come to tell a gentile to do it for him on Shabbos, [therefore the Sages] were not so strict in a case of doubt even though it is something that will eventually become permitted regardless. The Final Ruling: The main [Halachic] opinion is like the first opinion. The law by a case that the gentile brought over fruits as a present or to sell: Even according to the latter opinion [the Sages] were only lenient [to allow one to eat the food immediately after Shabbos] in a case such as this, that the gentile had told the Jew before Shabbos that he would give him fruits on Shabbos and the [Jew] then went to the house of the gentile and received the fruits. As in such a case there is a doubt whether perhaps [the gentile] picked these fruits on Shabbos on behalf of the Jew, and he had his mind from before Shabbos on these fruits to pick them for him [the Jew] on Shabbos, or perhaps he had in mind to pick for him other fruits and these fruits he had picked for himself or on behalf of another gentile and afterwards he changed his mind and gave it to the Jew when he came over to him, and so too by all similar scenarios. However if the gentile brought a present to a Jew or brought [fruits] to sell in a city that is majority of Jewish population then we are not inclined towards leniency to say that perhaps he had originally picked them for himself and afterwards changed his mind to bring them here [to sell or as a present], and rather we assume that he had picked it for this purpose [to sell or give as a present to a Jew]. Similarly we are not inclined towards leniency [to say] that perhaps he picked them from before Shabbos being that a gentile which brings [fruits as] a present or for selling most likely intends to bring the best quality [fruits] and thus brings those [fruits] which he had picked today. Trapped creatures: The same applies regarding [creatures] trapped [by a gentile] on Yom Tov. Brought for a gentile: An item which does not have suspicion of having been trapped or detached [from the ground] but was brought from outside the Shabbos city limit then if it was brought on behalf of himself or for another gentile it is permitted for a Jew [to benefit from it] even on that day [i.e. Shabbos]. Brought for a Jew: [However] if it was brought for a Jew then it is forbidden to be eaten that day [Shabbos] for whoever it was brought for and they must wait until enough time has passed after Shabbos to have been able to bring it. The reason: This is due to decree that one may come to tell a gentile to bring him items from outside the city limit on Shabbos in order so he could eat from it that day or immediately upon the entrance of evening [leave of Shabbos]. Others: However for others [the food] is permitted [to be eaten] even on that day [if it was not carried through a public domain] being that the prohibition of carrying from past the city limits is only Rabbinical [in origin] and thus they were not strict by a Rabbinical prohibition to also prohibit [the food] for even those that it was not brought on their behalf. Moving the food: Therefore even regarding the people who [the food] was brought for they are permitted to move it as it does not have the status of Muktzah being that it is fit to be eaten by others on that day. Not to carry the food past a four cubit radius: However one does need to beware to not carry the item outside of the 4 cubit radius from the place that the gentile placed down [the food] if he placed it in an area which is not surrounded [by walls or a fence] for purposes of dwelling, such as by a field or by a city which does not have an Eiruv. Thus this means that if one carried it 2 cubits then another may not carry it further, more than 2 cubits as will be explained in chapter 401 [Halacha 2] with regards to all items that a gentile carried past the city limits. Items brought by ship: If the [food] was brought [by the gentile] on a ship from past the city limits then it is permitted to be eaten even for those [Jews] that it had been brought on behalf of in a case that the ship had traveled above 10 handbreadths [80cm.] [from the seabed] being that there is no [prohibition of] carrying past the city limits [when doing so] above ten handbreadths [from the ground] as will be explained in chapter 404 [Halacha 1]. However one must [still] beware to not carry it past 4 cubits unless it was on the ship from before Shabbos and it had not been below ten handbreadths [from the ground] from when Shabbos arrived until it entered into the city limits of this particular place that he is now in as will be explained there. Although [food] brought from outside the city limits is permitted [to be eaten] by those that the food had not been brought on their behalf nevertheless if [the gentiles] brought two items for two people [these two people] are forbidden to switch their [packages] as [when doing so] he nevertheless still benefits from the fact that [the package] was brought from outside the city limits, as through doing so his colleague is able to switch with him and give it to him. If one knows from where the food was brought: In any scenario [above] that one is required to wait [after Shabbos] the amount of time it had taken to do [the forbidden action on Shabbos] one only has to wait the amount of time it took the importer to bring it on Shabbos. For example if [the gentile] brought [the food] from a distant place, three daytime hours away, on Shabbos through riding on a horse and therefore arrived quicker [then he would have arrived on foot], then one does not have to wait after Shabbos the amount of time it would have taken [to travel that distance] on foot and rather it suffices to wait 3 hours. One does not need to worry that perhaps [the gentile] did not ride so fast and rather traveled throughout Friday night because one can assume [that he did not do so being] that it is not common to ride at night. If one does not now from where the food was brought: However this only refers to if one knew which place [the gentile] brought [the food] from, however if one does not know at all [the place from where the food was brought] and it is possible that it was brought from a close place, then it suffices to wait after Shabbos the amount of time it takes to bring it from outside the city limit besides for the amount of time he needs to wait for [the amount of time it took the gentile to] pick [the food] or trap [the animal] if it is a species of food which is attached [to the ground] or requires trapping, as explained in chapter 515 [Halacha 1]. Other Opinions: [However] there are opinions which say that any scenario where one needs to wait the amount of time it took to bring [the food] from outside the city limit, and it goes without saying if one needs to wait the amount of time it took to bring it from more distant place, then the night after Shabbos is not included in this amount [needed to wait] and rather one must wait this amount of time starting the next day from Sunday morning. Their reasoning is: because it is not common to bring something at night from a distant place which is outside the city limit and there is thus suspicion that [if one were allowed to wait this time on the night after Shabbos that] one may come to tell a gentile to bring [the food] for him on Shabbos in order so it be ready to be used after Shabbos after waiting the amount of time it took for it to be brought. The Final Ruling: One is to suspect for this latter opinion regarding Shabbos, although regarding Yom Tov one may be lenient like the first opinion. As well, even regarding Shabbos one may be lenient for the sake of guests or other Seudos Mitzvah [a meal which is being celebrated over the performance of a certain Mitzvah]. By other scenarios of “Kdei Sheyasu” one may wait from the night after Shabbos: However in a scenario where one must wait the amount of time [it took the gentile to do forbidden action to the food] when [the food was brought] from within the city limits, such as for example the gentile picked fruits or trapped fish from within the city limits, and one thus must wait the amount of the time [it took him] to pick [the fruit] or trap and [the amount of time it took him] to bring [the food] from that place that he had picked or trapped [the food] from within the city limit [until the Jew], then the night is included in the calculation according to all opinions. If there is doubt as to whether [the food] was brought from outside the city limits then the [food] is forbidden [to be eaten] by whoever it was brought for until enough time passes after Shabbos to have been able to bring it to him from outside the city limits. The reason for this stringency despite it being a case of doubt in a Rabbinical prohibition is: because the [food] [will eventually become permitted and thus] has the status of a Davar Sheyeish Lo Matirin. Other Opinions: [However] according to those opinions [above in Halacha 10] which hold that by this type of prohibition which is merely like a fine, so one not come to tell the gentile to do so for him on Shabbos, [the Sages] were not stringent in a case of doubt even though it is something which will eventually become permitted as written above [in Halacha 10], then here too it is permitted to be eaten by even the person for whom [the food] was brought for, and even on that day [on Shabbos]. Final Ruling: It was already explained that the main Halachic opinion is like the former opinion. All the above refers to a gentile which does not reside with one in the same city, however if the gentile resides in ones city then and the fruits [that were brought] are commonly found in the city then we do not hold questionable that perhaps the gentile brought it from outside the city limits, and rather we say that [in the city] they were found and [in the city] they remained. If he also has one house outside the city limit: [Furthermore] even if the gentile has two houses one within the city limits and one past the city limits we incline towards leniency [and assume] that the [food] was brought from within the city limit, as it can be assumed that one will not ignore [bringing the fruits] from a closer home and travel to bring them from a more distanced home. If he has two houses outside the city limit: However if he has two houses which are outside the city limits and one house within the city limits then we do take into account the majority of homes that he has outside the city limits [and assume that the fruits were brought from those house]. In all cases it is only allowed if the food does not have suspicion of having been trapped or detached from the ground. If it was brought from outside the Shabbos city limit, then the following is the law: If it was…..
Brought for a gentile: Then it is permitted for any Jew to benefit from it even on Shabbos [with exception to the acquaintances of the gentile]. Brought for a Jew: Then it is forbidden to eaten on Shabbos for whomever it was brought for and they must wait until enough time has passed after Sunday morning to have been able to bring it. Although for the sake of guests or for a Seudas Mitzvah [as well as when this occurred on Yom Tov] one may be lenient to wait the amount of time it takes to bring it from after Shabbos ends. In all cases one must wait the actual amount of time it took the gentile to bring the item whether he traveled by foot or by horse, and if one does not know from where the item was brought then he is to wait the amount of time it takes to deliver it from right outside the city limits. The food is not Muktzah even for those for whom it was brought for, although it may not be moved more than 4 cubits from where it was delivered, even by others, unless it was delivered into an enclosed area, in which case it may be moved anywhere within that enclosed area. Items brought by ship: Then if the ship traveled 80 cm above the seabed it is permitted for all to benefit from the food, however one may not move it more than 4 cubits as explained above, unless it was on the ship before Shabbos began and never entered within 80 cm until it entered the city limits. Those that the food was brought on behalf of may not switch the foods: Two people which had food brought for them from outside the city limits, even though each person delivery is permitted for others, nevertheless these two may not switch their packages with each other. A case of doubt as to whether it was brought from outside the city limits: Has the same laws as if it were for certain brought from outside the city limits. Although if the gentile lives in ones city then we always assume that it was brought from within the city limits, even if he has another home outside the city limits, unless he has two homes outside the city limits. Items brought from within the city limits but in areas forbidden to carry in: See next section. On behalf of a gentile: A gentile which filled [a bucket of] water on behalf of his animal from a well which was ten handbreadths deep and 4 handbreadths wide which was positioned within a public domain, and thus it ends up that he had carried [the water] from a private domain [the well] to a public domain [nevertheless] it is permitted for a Jew to give his animal to drink from this water. The reason for this is: because since the gentile did not at all intend [to draw the water] for [the Jew] . If the gentile is an acquaintance of the Jew: However this only applies if the gentile does not know [the Jew], however if the gentile is acquainted with him then it is forbidden [for the Jew to benefit from this water on Shabbos] due to a decree that perhaps the gentile will increase the amount of water that he is drawing in order so there be also enough for [the Jew] if [we were to allow] also the Jew to give [his animals] to drink from [the gentiles] water. On behalf of a Jew: Even if the gentile is not acquainted with him, [nevertheless] if it was drawn on behalf of the animal of the Jew then it is forbidden for even others [for whom the water was not drawn on behalf of] to benefit from these waters, even for a different use [then that intended by the gentile], such as for bathing or for washing dishes. The reason for this is: because any time that a Biblical prohibition was done by a gentile on behalf of a Jew the Sages did not differentiate between those that the labor was done on behalf of and others. From or into a Karmalis: However if [the gentile] draw [water] from a well that was located in a Karmalis, or he brought the water into a public domain from a river which is a Karmalis, then the [water] is permitted [in benefit] for whomever it had not been brought on behalf of, being that the [carrying into or from a] Karmalis is only a Rabbinical prohibition, [of which the rule is that we are lenient for others, as explained above in Halacha 9]. The custom today: Asking a gentile to bring items from a Karmalis on Shabbos: [Furthermore] today, the world has accustomed themselves to allow to even initially ask a gentile to bring them beer or other items which are needed for Shabbos through a Karmalis. The reason: There are opinions which have justified their behavior saying that Shabbos necessities are considered like a need for a Mitzvah in which the [Sages] permitted [to be done] in a case of a Rabbinical prohibition [i.e. asking a Gentile] which itself is only a Rabbinical prohibition [i.e. Shvus Deshvus] as was explained in Chapter 307 [Halacha 12]. Restrictions to the above allowance: [Nevertheless] those that do so must beware to not place the vessel into the hand of the gentile as well as to not take it from his hand as was explained there [in chapter 307], as well as to not give money to the gentile as will be explained in chapter 517 [Halacha 4]. ([Furthermore] nevertheless one may only be lenient regarding [asking the gentile to bring him] beer and the like of items which are a complete Shabbos necessity in which it is impossible to do without them and not be left in a slightly pressing situation. However items which one does not have much need for such as fruits and varieties of extra dishes and the like, then they are not considered needed for a Mitzvah as explained in chapter 261, and one thus may not ask a gentile to bring them]. If a gentile picked grass which was attached [to the ground] for the need of [feeding] his animal then a Jew may afterwards feed his animal from it. Meaning that he may stand in front of his animal in a way that it can only turn to the area of the [picked] grasses as was explained in chapter 324 with regards to all items that are forbidden to be moved [i.e. are Muktzah] as these grasses are also forbidden to be moved as explained above [in Halacha 8]. If the gentile is an acquaintance of the Jew: However this only applies if the gentile does not know [the Jew], however if the gentile is acquainted with him then it is forbidden [for the Jew] to even stand before [the animal] in order so it eat from it on Shabbos due to a decree that perhaps the gentile will increase the amount [that he is picking] on behalf of the [Jew’s] animal if he were to be allowed to feed his animal from it. However after Shabbos there is no need to wait the amount of time it took the gentile to pick it being that the gentile picked it for his own behalf and [even] on Shabbos the decree is only because perhaps the gentile will come to increase [the amount picked] also for [the Jew]. Suspicion of increased work: The same law applies in all cases [of work done by a gentile for his own behalf] that there is suspicion that perhaps the gentile will increase on behalf of the Jew if [the gentile] is an acquaintance [of the Jew]. For example, a gentile which roasted or cooked for himself foods which are not prohibited due to “Bishul Akum” as well as all other cases in which when done for two people the amount must be increased more than if it were to be done for one person. No suspicion of increased work: However by matters in which there is no suspicion that perhaps [the gentile] will increase in the labor on behalf of the Jew, such as if [the gentile] lit a candle for himself [to use] or made a ramp to use to descend from a ship of which one candle and one ramp will suffice for many, then it is permitted to be benefited from even by his Jewish acquaintances. Even if the gentile is not acquainted with a certain Jew, [nevertheless] if he says explicitly that he is doing [the labor] on behalf of the Jew or even if he does not say this [explicitly] although from his actions it is evident that he is doing it on behalf of the Jew, such as in a case that [the gentile] lit a candle in the house of a Jew and then the gentile left and did not benefit from it at all, then it is forbidden to benefit from its light. If a gentile picked grasses (for his animal) and fed them (also) to the Jews animal then one does not need to protest against him doing so. The reason why one does not have to protest the picking of the grass: Now, although most probably [the gentile] had picked [the grasses] also on behalf of the Jew, [nevertheless] there is no prohibition at all involved in [allowing the gentile to] pick the grasses being that every gentile which does an action on his own accord certainly intends on doing so for his own self interest, knowing that he will not lose anything out by doing so, as was explained in chapter 252 [Halacha 10]. If the grass belongs to the Jew: However [this is only allowed] so long as the grasses do not belong to the Jew but rather to the gentile or are un-owned, due to the reason explained there [in chapter 252]. The reason why one need not protest letting his animal eat it: (As well there is no prohibition in the fact that he is feeding the Jews animal from grasses which he had picked on [the Jews] behalf, as although it is forbidden for the Jew to get benefit from the action that the gentile had done for him even though the gentile intended in doing so for his own self interest as was explained there [in chapter 252] nevertheless [since] here the actual physical body of the Jew is not benefiting from it, [therefore] the Sages did not decree [against the animal getting benefit] unless [the Jew] himself stands before the animal in order to lead it to eat from it, however [they did] not [decree] against letting the gentile feed [the animal] being that he intends in doing so for his own personal benefit. On behalf of gentiles: A gentile which constructed on Shabbos a coffin or grave in order to bury a dead [relative] of his or in order to sell (in a city which has a majority gentile population) then it is permitted for a Jew to bury [a corpse] in it immediately after Shabbos. On behalf of Jews: [However] if the gentile constructed [the above] on behalf of a Jew then he must wait until enough time has passed [after Shabbos] to have been able to construct it. This [restriction applies] whether to [use the coffin or grave] to bury the Jew for whom it was constructed on behalf of and whether to bury another Jew. Made in a public area on behalf of a Jew: However [when made on behalf of a Jew it is only allowed to bury in it after Shabbos when] the [construction of the] grave or coffin [was done] in an isolated area and [thus] was not publicized to all that it had been constructed on Shabbos on behalf this specific Jew. However a grave [which was constructed] in a public location, as well as a coffin which was constructed near a grave which is located in a public area, in a way that is evident to all that this grave or coffin was made on Shabbos on behalf of this specific Jew, then it is forbidden to ever bury that Jew in it even after the set amount of time has passed [after Shabbos]. This [prohibition] is a fine over the fact that Shabbos was desecrated in public through a gentile on his behalf. However it is permitted to bury other Jews [in this grave or coffin] after waiting [after Shabbos] the amount of time it took to construct it. Other actions done in public: The same law applies [by all other actions, that] if Shabbos was desecrated in public by a gentile on behalf of a living Jew it is forever forbidden for that Jew [to benefit from it] even if [the Jew] had not commanded the gentile to do so [for him]. Other Opinions: [However] there are opinions which say that [the Sages] did not forbid one from ever benefiting [from a public desecration done on behalf of] a corpse due to it being a fine but rather due to that it is a belittlement to the corpse for it to be buried in a grave which is publicized to have been [made through] desecrating Shabbos on his behalf. Thus accordingly a [public desecration done on behalf of a] live person is permitted even for him [to benefit from] after enough time has passed after Shabbos for the action to have been done. The Final Ruling: At a time of need one may rely on the latter opinion to be lenient in this [controversy over a] Rabbinical prohibition. If one hired the gentile to do the work for him: Even according to the former opinion the Sages were only stringent when the gentile decided on his own to do the action, however if [the gentile] had been ordered before Shabbos to do so and the Jew had agreed to pay him a set price and no time frame was set as for when the work must be done and the gentile then on his own decided to do it on Shabbos, there is no prohibition from the letter of the law [from benefiting from it] after enough time has passed after Shabbos to have been able to do it even though the gentile did so in public. [Furthermore] even if the gentile was hired to be paid per day but the Jew did not set with him which days [the work is to be done] and the [gentile went ahead] did so on his own on Shabbos, [it is allowed to benefit from it]. Even with regards to a corpse it is permitted from the letter of the law for him to benefit from it in such a situation. Nevertheless, according to all opinions it is proper to be stringent even regarding [work done for] a live person, that no Jew ever get benefit from any action that had been done through a gentile publicly desecrating Shabbos on the command of a Jew even if the gentile was paid by the job [as opposed to by hour or day] in which case there is no prohibition from the letter of the law as will be explained in chapter 664. This is with exception to if [the Jew] protested the gentiles actions done [on Shabbos] and was ignored out of the gentiles own self interest, as was explained in chapter 244 [Halacha 7]. Brought from an actual public domain: A gentile which had brought on Shabbos through a public domain flutes to eulogize a Jew, then since he did with them a Biblical prohibition [of carrying] [therefore] one may not eulogize with them, not that Jew [that it was brought on behalf of] nor for any other Jew until one waits after Shabbos the amount of time that it took to bring it from the place that the gentile brought it from on Shabbos. This applies whether the place was outside the city limits or whether it was inside the city limits. If one does not know from where it was brought then it suffices to wait the amount of time it takes to bring it from outside the city limits. Brought in a publicized manner: However [this allowance only applies] when he brought it in a discreet fashion., however if he brought it openly in a way that everyone knows that he brought it through a public domain on Shabbos for this specific person, then it is forbidden to ever eulogize with it that Jew. Brought from a Karmalis: [However] all these [restrictions] apply when brought from an actual public domain, however if [the gentile] brought it through a Karmalis, then if it was brought from within the city limits one does not need to wait at all [after Shabbos] even for the person that it was brought on behalf of. The reason for this leniency is: because the [Sages] were only strict against the person whom the [item] was brought on behalf of, through a Karmalis, that he may not benefit from it on Shabbos, however not that he should have to wait after Shabbos the amount of time it took to bring it, unless it is a case that it was brought from outside the city limits, as in such a case he benefits from [the gentile] having brought it on Shabbos. However when brought from within the city limits he does not benefit much from it having been brought on Shabbos (being that the Jew himself could have walked there on Shabbos and bring it back immediately after Shabbos, and the small amount of time that he would have delayed in bringing it after Shabbos from where it was to where he is now [we do not make issue of] being that there is no suspicion that he may come to tell the gentile to bring it from there on Shabbos [in order to save him this short delay after Shabbos]). If there is doubt from where it was brought: In a case of doubt as to whether it was brought from outside the city limits or from within the city limits, it is forbidden for whomever it was brought on behalf of. Others: However for other people it is permitted even if one knows for certain that it was brought from outside the city limits. If it was brought from outside the city limits through a Karmalis and afterwards it passed through a public domain then [other people] only need to wait after Shabbos the amount of time it took to bring it from the start of the public domain and after this [time is waited] it is permitted for others or even for the person whom it was brought on behalf of in a case that it was brought from within the city limits. Majority gentile population: A city with a Jewish and gentile population which has a bathhouse that is bathed in on Shabbos, then if [the city] has a majority gentile population then it is permitted to bathe in it immediately after Shabbos being that one can assume that it was heated up on Shabbos for the gentiles which are the majority. Majority Jewish population: [However] if majority of the population are Jews then one must wait [after Shabbos] the amount of time it takes to heat [the water]. Half-Half: Furthermore] even if the population is [exactly] half [Jewish] and half [gentile] one must wait the above amount of time because it can be assumed that it was up on Shabbos for both [Jew and gentile]. A Biblical action: The food is forbidden for all until enough time has passed after Shabbos to have been able to do the action. A Rabbinical action: For the person for whom the action was done the food is forbidden until enough time has passed after Shabbos to have been able to do the action. An action done in public by the gentile: Then if it is evident to the public that it was done on behalf of a Jew it is forbidden for that Jew to ever benefit from that object even if one had never hired the gentile to do so for him, unless it is a pressing scenario. However others may benefit from it after enough time has passed after Shabbos to have been able to make it. If one had hired the gentile from before Shabbos and agreed to pay him for the job, without specifying a date for when it must be done by and thus it was done on Shabbos by the gentiles own accord then although that from the letter of the law all may benefit from it after enough time has passed after Shabbos to be able to make it, nevertheless all Jews are to be stringent to not benefit from it unless the Jew had protested against the gentile doing so on Shabbos. Any work that is evident that it was done for a Jew, even if the Jew never asked him to do so and is not an acquaintance of the gentile, [and certainly if the gentile did so upon the request of a Jew]. If it was not done for selling purposes we always assume that the gentile did so for himself unless there is reason to believe otherwise, in which case even if one is in doubt if in truth it was done for a Jew he must be stringent as if he knows for certain that it was done for a Jews behalf. When done for selling purposes then if majority of the city, [or even 50% of the city is Jewish], then one must be stringent. Then it is permitted on Shabbos only for those whom the item was not brought on behalf of, unless the item is needed for a Mitzvah, such as foods which are a complete Shabbos necessity which will impair ones Shabbos if not available, in which case it is permitted for all on Shabbos and one may even initially ask a gentile to bring it. Even when forbidden for the person for him it was brought for, if it was brought from within the city limits then it is permitted immediately after Shabbos. Is allowed unless the herbs were the property of the Jew. Done in private: If what was done was not done in a publicized way then it is permitted to be used for all after enough time has passed after Shabbos to have done that work. Done in public: It is forbidden for that Jew to ever benefit from it. Although others may benefit from it [unless the gentile had been hired by the Jew to make it, in which case it is proper that no Jew ever benefit from it]. In a public domain: Have the same law as the above case. In a Karmalis: Is permitted for all immediately after Shabbos if brought from within the city limits. The prohibition of carrying from a private to public domain includes lifting up the object in the private domain and bringing it into the public domain and then putting it down. Thus here we do not want the Jew to do the first part of the carrying which is the lifting up in the private domain. Q. According to this explanation then why by whole grains did we need to resort, in the latter opinion brought in the previous Halacha, that it is only permitted because of the reasons explained in chapter 517, when in essence the reason is explained here in this Halacha?! This chapter of the Alter Rebbe is not in print. The Mishneh Berurah [322/8] explains that the reason why fruits which have fallen, or even questionably have fallen from their tree on Shabbos is Muktzah is because a) The sages forbade them from being eaten lest one come to actually pick the fruits from the tree. B) Since they were attached to the ground before Shabbos one has removed his mind from them and they are thus Muktzah. 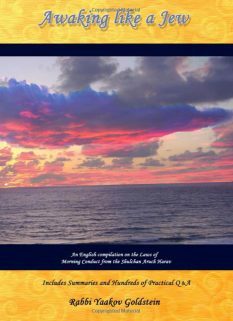 Includes summary of Halacha brought later on that are relevant to this subject. On Shabbos one may not walk over 2000 cubits past the area that he is in when Shabbos begun. Thus one has 2000 cubits from outside the city until which he may walk on Shabbos. These 2000 cubits are referred to as the city limits and should be taken in this context in wherever the term is mentioned in this book. An object which was outside the city limits before Shabbos may not be brought into the city. However if the food was carried by the gentile through a public domain then it is forbidden for even others until enough time has passed after Shabbos to have been able to bring it through the public domain, as rules Admur in Halacha 16 and 22. Vetzaruch Iyun as there Admur explained that even the lenient opinion is stringent in a case that the food was brought specifically for the Jew, and only when there is doubt as to whom it was brought for are we lenient. Although in truth this is no question being that here there is true doubt as to whether any work was done on Shabbos by the gentile, while there we assume for certain that it was done on Shabbos and thus when brought to a Jew we assume also that it was done for the Jew. However still Tzaruch Iyun why here it is permitted on Shabbos itself while there they were only lenient to permit it after Shabbos? Perhaps though here since it is a doubt in only a Rabbinical prohibition therefore we are more lenient according to that opinion to permit it even on Shabbos itself. However Tzaruch Iyun why the above should not be prohibited on Shabbos at the very least for having been brought from a Karmalis, as is ruled in Halacha 22? Meaning that when a closer home is available certainly he will bring it from there rather than to travel far. However after Shabbos it is permitted immediately as will be explained in Halacha 17. There are exceptions to this rule which are mentioned in the cases below it. 325/10, as the stringent opinion is the main Halachic opinion.